We are an amateur theatre group based at The Kings Theatre in Gloucester, UK. 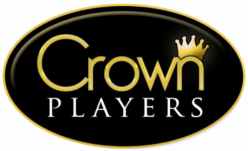 At The Crown Players, we pride ourselves on a professional approach to amateur theatre, but we also remember that for most people this is a hobby – and meant to be fun! Please come along to a production and see what we do. If you have any questions then please fill out and submit the form on our "Contact Us" page. ​Kevin's Above will be performed in an evening of One-Act plays alongside our friends The Phoenix Players. Suddenly and without warning, two men named Kevin find themselves dead and in the waiting room of Afterlife Relocation Services. The problem is only one of them should be dead, but which one? Do you want to keep up to date with everything we are up to? Follow us on our Facebook and Twitter pages. When you follow us on either Facebook or Twitter, you’ll see what we are up to and enjoy our journey with us!